Pick your favorite seat at Grind and get to work each day with speedy WiFi and unlimited coffee. A dedicated office for 8 with all the perks of open coworking, too. 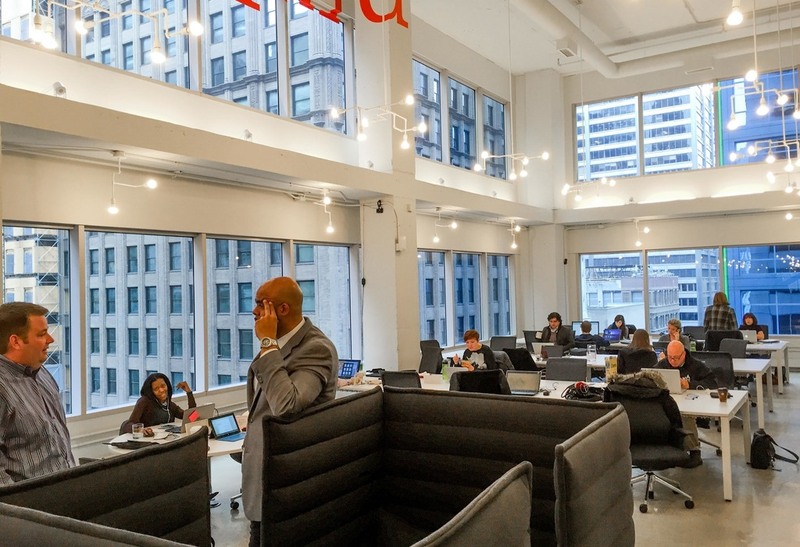 Grind LaSalle is a bright and light productive workspace with 2 story windows featuring stellar views up and down LaSalle Street. People come to Grind because it's a place where they can get work done, but where everyone is also willing to say hello and share a friendly chat. 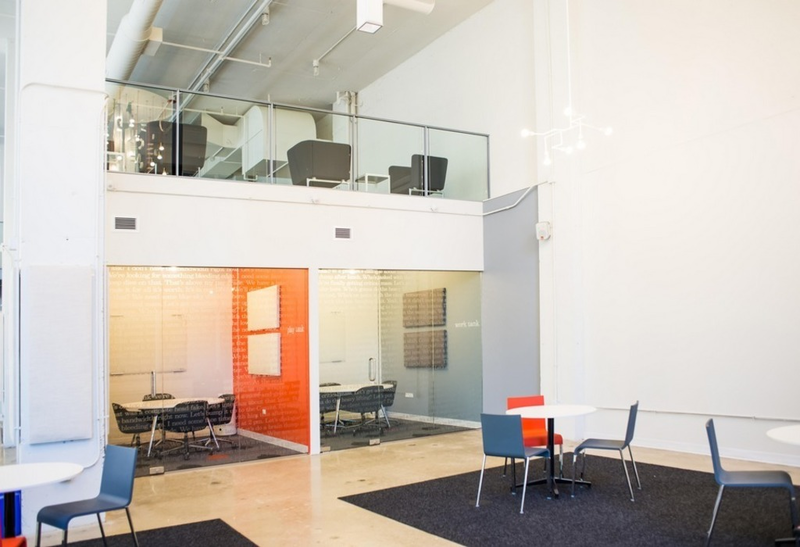 Featuring predominantly open seating, Grind also has 2, 4, and 10 person conference rooms (as well as phone booths) for rent in case you need to host an offsite meeting or just need some heads down time. 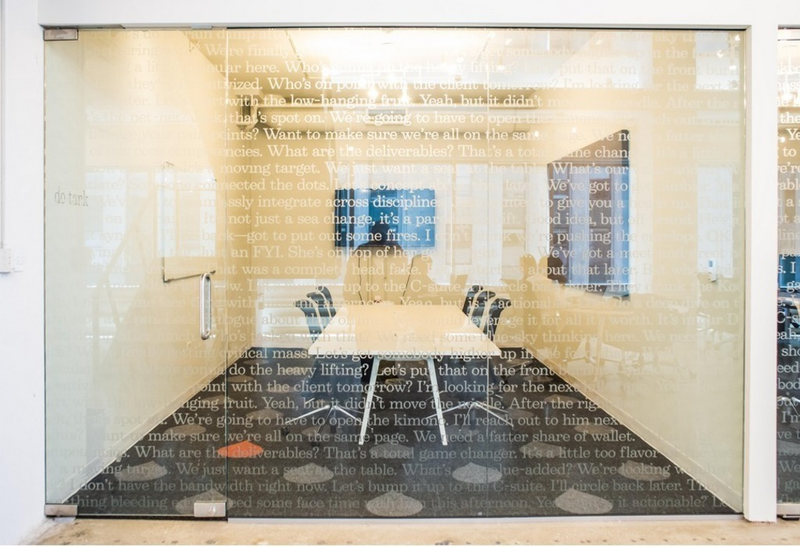 Grind is a place for doers, thinkers, and believers whose work doesn't always fit into a cubicle empire. It's a place for people who love coffee (we have unlimited Ipsento on tap), are passionate about what they do (we're industry agnostic), and want to work within a community (we think we have the best in town). Grind isn't an office, it's the antidote to offices. 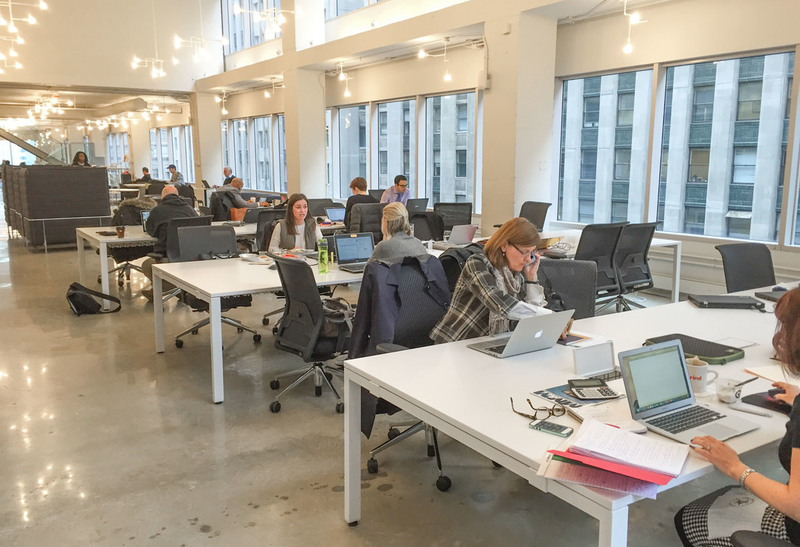 A members-only shared workspace and coworking community dedicated to taking all of the frustrations of working the old way and pulverizing them to a dust so fine it actually oils the wheels of the machine. 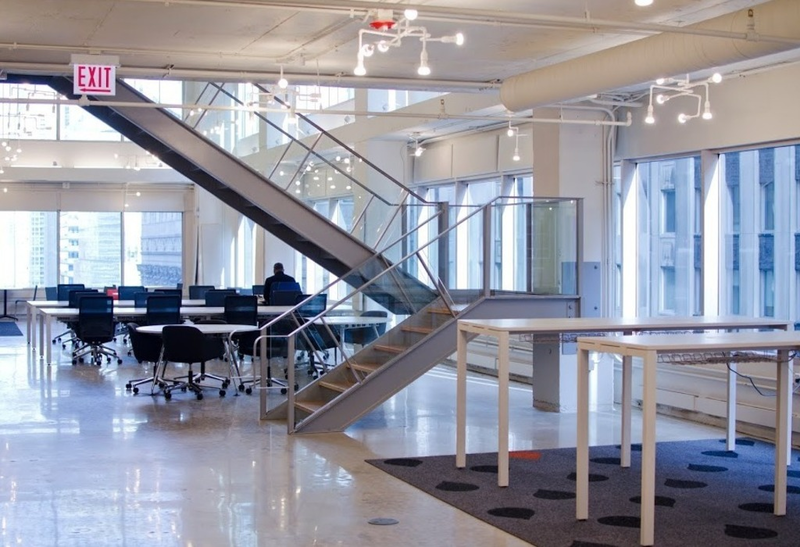 It's a space for people that would rather work in a community.